Compliance standards and regulatory guidelines help ensure organizations operate with the highest levels of corporate governance and standards of conduct. The executive team is responsible for developing compliance policies and setting the tone for compliance. Management is responsible for setting high standards and developing procedures which empower employees to comply with regulations and standards which assure the entity protects its workforce, customers, shareholders, and the public. According to COSO and The Green Book, compliance is one of three objectives that must be considered for each of the five internal control components and seventeen principles. A compliance system, along with efficient operations and reliable information reporting, are required to provide reasonable assurance to your auditors and the government that your entity can meet its objectives. If you need an internal control system, you need a system to ensure compliance with laws, regulations, policies, procedures, and standards. Navigate Compliance with Copedia Compass! Copedia Compass is a workflow based compliance solution. It provides entities a workflow framework to properly document and implement policies, tasks, procedures, responsibilities, and training. All details are tracked including, policies, procedures, task sequences, training, intervals, priorities, approvals, and about 30 more data elements. Copedia Compass helps organizations comply with laws, regulations, policies, SOPs, and other performance standards by allowing you to assign tasks to responsible employees. This helps you align tasks with regulations, training, quality, and your internal policies and procedures. We have template based solutions for those subject to 2 CFR Part 200 Uniform Guidance, Sarbanes-Oxley, and DCAA compliance. We have general a industry edition for franchisors, geographically disperse workforces, accreditation requirements, and other requirements based on risk management or standards compliance such as ISO and ANSI. We also have pre-built template solutions for food service and manufacturing including USDA and FDA food safety, contractor with 29 CFR Part 1926, and general industry template sets. Our application software is a mobile friendly cloud based software solution. It works with both Microsoft Office and the Google Cloud Platform (GCP). It also works with Microsoft PowerApps and App Maker. And since it works with PowerApps and Google App Maker, you can easily deliver highly customized training and content using the Microsoft and Google app creation tools. Defining your workflow, task, and assigning those tasks allows you to plan based on people, projects, and positions then balance your manpower to eliminate over hiring and overtime costs. Most entities are required to provide training regarding compliance issues. Using our software tools you'll be able to get employees up to speed quicker with an organized training program. A simple method of recording and integrating with daily tasks - Defining your workflow, tasks, and assigning those tasks allows you to plan based on people, projects, and positions. 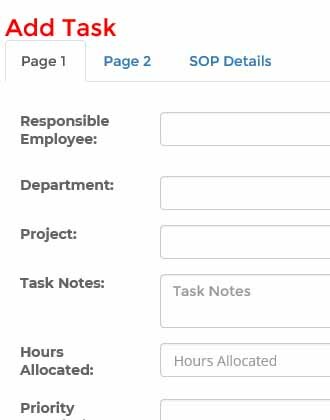 You can then report by projects, people, and positions to balance your manpower to eliminate over hiring and overtime costs. 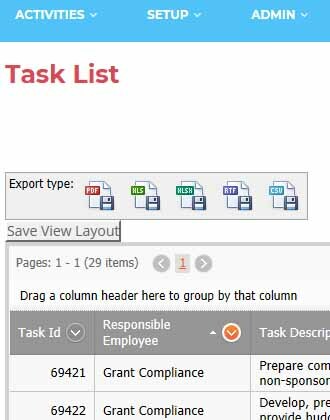 Assign tasks to individuals and improve staff accountability, engagement and productivity. Compare individual performance against task benchmarks, projects, and targets. Having your tasks organized and assigned allows for a simple planning tool to identify and set up of a plan. The Copedia Compass Apps Software is cloud-based application software designed to document entity workflow and manage business tasks. Content Included - Copedia Compass Apps include the financial policy and procedure templates covering accounting, financial reporting, grants, and internal control. Also includes the management policies, HR, and Safety templates. The data exports to PDF, Excel, RTF, and CSV file types making for easy integration with MS Office, SharePoint and ideal with PowerApps and App Maker. Measure forecasted time vs actual. © Copyright 2018 Endeavor, Inc.